Saturday was a horse fun show at Butternut Stables in Hampton. And it was fun! Riding students on school horses, visiting horses and riders. A barn open house and bbq. Warm, sunny weather. A good thing because the yard and barn were full of horses, people and dogs. It was my first time in a show. As the day neared, I got more and more scared. I weighed the validity of every possible excuse to not take part. Assuming that my preferred horse was sound and that I was too, I couldn’t come up with any good reason to bail. The number of horses available was finite, the number of potential riders was not. The horses could not be overworked. Maybe there would be so many kids wanting to ride that I could do the “adult” thing and offer my spot to them. Fingers crossed! The road alongside the stable was filled with vehicles as far as you could see. I took my helmet with me, in case my plan failed. Elizabeth, the owner, said “You can saddle Jamie. You’re up for pole-bending next.” “Are you sure he’s ok? Is anyone else riding him? I don’t have to, if you need him.” “He’s good to go,” she said with a little smile. Like she knew exactly what I was doing. Then Jamie and I were called. My teacher Dani opened the gate for us. “Back straight, sit up tall,” she said. I did, and stopped thinking about the people lining the rail and the timer. Jamie and I loped up one side, trotted the poles and loped for home. We did it – in a respectable time! Yeehaw. Nervousness? Gone. Next was keyhole, and we were first up. A line laid on the ground in the shape of a keyhole. Run in, turn around and run out, as fast as you can without touching the line. I’ve ever only done it playing around in lessons. Fortunately Jamie had more experience. We did it. The shoe race – where I realized, after we started, that circling and dropping a horseshoe in a barrel was not going to be as easy as I thought. I slowed Jamie, got it in, then we knocked over the barrel. Disqualified. Finally, the flag race. We loped around the ring, plucking flowers off poles held over the fence. Jamie shied at one flower, but I managed to grab them all. We got second place! Whew! My competing was done. Jamie did more work than I. He went in a few more classes with another rider. He and I joined other horses giving rides to non-competing kids. And we took a teddy bear around the ring in the costume class. Mya the teddy bear won second place. To top it all off, I won a 1st place rosette. High points in 16+ group. I was the only one in that group. But I am very proud of it. I am also proud that I can now say that I have competed in a horse show. Thanks, Elizabeth, Dani and the ring crew. Thank you, Wendy, for being there. Thanks, Jim, for taking pictures. And thanks especially to John Perkins – I wish you could have seen Jamie and me go! The end of Tuesday’s episode: Bethany and Sarah leaving the courtroom at the end of Nathan’s trial. Arm in arm, walking through the lobby to the door. We could still hear the voices in the courtroom. “Do you find the defendant guilty or not guilty?” the judge asks. The jury foreman reading out the verdicts on the charges against Nathan and his fellow sexual predators. Guilty, guilty, guilty. 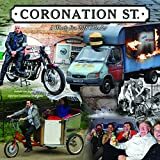 Coronation Street rarely overlays a soundtrack that does not fit within the setting. I am thankful for that. It takes away from a scene’s realism to have sound – whether music or speech – that cannot be traced to a logical source. So the ambient sound makes visual sense. What was said in that courtroom could not have been heard outside its closed doors unless the courthouse has paper thin walls. And that’s not likely. So there’s no way Bethany and Sarah would have heard the verdicts being read outside the courtroom. But the voiceover of courtroom call and response in this scene worked beautifully. It heightened the dramatic power of both the process and the personal. It allowed us to relish the moment of hearing the verdicts while we could also see a poignant moment of relief and release for these two women. Everything Bethany and Sarah have been through showed clearly in their walk along the hallway. We didn’t need their words. We heard “guilty” over and over, and we saw mother and daughter supporting each other as they walked toward the door. Walking out of a nightmare. The stone walls they are leaving are maybe both confinement and protection. They are heading outside to the light of day. No longer feeling confined, no longer needing protection. Bethany won. Nathan and his nasty cohort of child sexual abusers are going down. Hurray. An excellent medium tomato salsa. It is chunky so if you want a smoother salsa, cut your veggies into smaller pieces. If you want it hotter, increase the jalapeños. To keep the veggie balance, decrease the green peppers. The tomato sauce and paste give it a nice, thick texture. As posted by Jazze22, the recipe says 45 minutes preparation and 1¼ hours total time. Preparation – peeling and chopping – took me way longer than that. I chopped everything by hand, and maybe a food processor would be faster. I peeled and chopped long enough to start thinking longingly of supermarket shelves lined with jars of salsa. However, after finally finishing, mine tasted so good and I know exactly what is in it and what isn’t. And that’s worth a lot. Isn’t it? In honour of Ikea opening a store in Dartmouth NS, The Manatee published an article about a couple divorcing after a trip to the new Ikea. Very funny – the story and Facebook comments. The Manatee is a satirical magazine, so of course this article wasn’t actually true. But the Facebook stories about Ikea assembly were. One person thought maybe they should point out, hey, this story isn’t real, you know. Clearly someone who has never assembled an Ikea product. Keep your innocence, my dear, stay away from the store. In the past, I have assembled Ikea furniture and have watched while someone else did. Nevermore, nevermore. However, dismantling an Ikea chair and reassembling it seemed do-able. A hand-me-down, I liked the chair a lot but the cover desperately needed washing. Still, I was nervous. Maybe buying a new cover would be safer. So I googled Ikea chairs and covers. Do you know how many identical looking bentwood chairs Ikea makes? And chair covers? All with different model names and tiny differences in shape and size. With fitted chair covers, a millimetre matters. Buying online was pretty much a shot in the dark. Maybe I should wait until the Dartmouth Ikea opens and go there. I’d have to take the chair, of course, so I could directly compare it to what was in stock. Picturing that trip, I decided to take the cover off. I had the advantage of an assembled chair in front of me. I should have taken photos first. But I was fooled into complacency by lots of zippers and velcro fasteners. They must mean easy removal. I started opening fasteners. Then I saw the screws in the frame went through the fabric. You have to take them out to slide the cover off. So I get the Allen key. Soon the chair was in pieces – seat and back section and two arm and base sections. Ok, start peeling the cover off. Ikea chair covers fit very tightly, to give their sleek look. Using hands, feet, elbows and knees to hold and peel, I looked anything but sleek when my husband walked in. What are you doing? Eating bonbons and watching tv, what the hell does it look like? Fortunately, that thought stayed in my head. I had chosen an evening when he was out to do this job. Best for the chair and our marriage. I should have picked a weekend! He quickly disappeared, presumably joining the cats and dog wherever they were hiding. I got the cover off. It looked fine after washing. Now to reverse the process. Just as difficult. Just as much cursing on Ikea and all things Swedish. This time I needed help. One person to hold the chair parts in place, the other to use the Allen key and curse. After several hours, we got it put together. I’d walk past it just to admire its beauty (never mind the few rumples in the cover). Next day, I saw black hair on the seat and lower back. The cat with fine, sticky, shedding hair had claimed it. Oh no you don’t! That cover is never ever coming off again! A towel didn’t help. She just pulled it down and bunched it under her so she could spread her hair all across the back. So I strapped a car seat cover around it. That fixed her. Of course, it ruins the visual of the sleek Scandinavian design too. But that cover is never ever coming off again. So it’s either the car seat or cat hair. Likely both. The star of the Connor double wedding was the dress. Eva’s wedding dress. In the back room of the Rovers, in Adam’s law office, at the altar, in the water fountain and finally on the window ledge. The wedding really became the tale of the adventures of a wedding dress. It was a character in its own right over three episodes at the beginning of the week. Eva could wear a burlap sack and make it look good. But the dress did look magnificent on her, and she in it. A lot of story was written around the actual events of the wedding. Tense and sad and funny – a lot happened during a double wedding that didn’t happen. But pretty much I just watched the dress. Its last appearance was it falling into a sheet being held by wedding guests. That was Tyrone’s emergency plan to catch Eva if she fell or jumped. Standing on the window ledge, shouting that she loved Aiden, her foot slipped. She panicked and froze, unable to get herself back in the room. Aiden ran upstairs to pull her in. But the lace on the dress skirt snagged on the window frame. Eva cared about her fabric comrade in arms so wouldn’t let Aiden just pull it and her through the window. She did not want to rip the lace. So she told Aiden to untie the back and pull her out of the dress back into the room. Without her in it, the lace unsnagged and the dress came loose and fell to safety. According to an interview with Catherine Tyldesley in what’sontv, Eva’s wedding dress had five stunt doubles. I hope costume protection observers ensured that none of the six dresses were harmed in the making of these episodes. I hope too that the beautiful location survived as well. It is Kingsley Hall, home of the Earl and Countess of Derby, in Prescot, Merseyside. 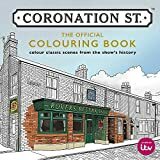 Well, actually, Jack and Vera, they’re the best – most happily married couple in Coronation Street. Really! Because every time they have an argument, well, it’s a form of endearment! It’s not really like it looks, it’s a caress! Well, Vera, she’s quite happy. In this day and age, she’s got her job, her husband’s working. I go play bingo with Ivy. Great corner shop, great Rovers Return. I’ve got lots of friends. Really she hasn’t a bad life, don’t you think? Compared to some people. I don’t know what it’s like in Canada, but we’ve got so much unemployment, you know. I’m so happy that Jack’s got this job in the pub. and he don’t really do owt wrong. He just has these pigeons he loves. I don’t know whether you’ve seen the pigeons. Oh, he loves them. We’ve got them in the yard and every morning he goes out and feeds them. and he listens for them cooing. Do you know much about pigeons? Well, they’ve got a sound of their own. And they’re filthy! So he’s having to clean the cages out, you know. Apart from that, actually, not a lot happens for Vera. I think she should have an affair. With Reg Holdsworth in Bettabuy. Because I worked at this supermarket. He’s a bit manic looking, Reg Holdsworth. But I think Vera could quite feel as if she’s come up in the world, you know, having an affair with a manager. Do you know what I mean – after Jack! She’d think she’d quite done well for herself. What’s she like really: well, she’s down to earth. She likes a laugh. Some people think she’s nosy but she’s not really. It’s just her way, do you know what I mean? I don’t think Vera will ever be able to afford to go to Canada. How much is it to go to Canada? [₤300, 400] Oh! I mean, our Jack can’t even get his glasses mended. You know our Jack, he wears Elastoplast around the edge. You see, that is about five pints to Jack, to get them repaired. That’s what he’s like, really, you see. He’d rather spend money for beer than have his glasses repaired. Oh, do you want me to be Liz now? I get mixed up sometimes. I go into an identity crisis. Sometimes I’m Vera and sometimes I’m Liz. Right, well, my name’s Liz Dawn. I’m married, got 4 children. I’ve got 4 grandchildren. I started off singing in working men’s clubs, you know, to earn a bit of money, extra money. Then I joined Equity to do ‘extra’ work. But when I joined, it was just around the time when we had a lot of Northern directors, and story writers that wanted the real thing. So anyway, I landed on my feet. It just happened the right time. And I had quite a few cameo parts in good plays. So then I ended up in Coronation Street. And that were 1974 when it was Ken Barlow’s old factory. He managed the factory, and that’s where it all started really. And I’ve been in it ever since. I’m hoping to be the next Ena Sharples, you know. I want to be in the snug, with an hairnet, drinking milk stout, with Ivy and a few other old cronies. Wearing big bloomers. Because I just love the programme. [Did you watch it before you were on the show?] Yeah, I thought it were brilliant: oh, look at this! It’s so different than the programmes that were around at that time. Everybody spoke ‘very nice’, ‘very posh’. Weren’t a bit like real life, not in the North anyway. And that’s how I started. I think It’s more of an institution now. It’s not a soap really, is it. After thirty-two years, I think it’s part of people’s life. If it came off it’d be like taking the 9 o’clock news off. People have just grown up with it. We have a tour – Granada Tours – here, and people come round, there’s thousands come round a day, from all over the world. And they keep pinching my stone cladding! I don’t know, it’s a bit of memorabilia or whatever it is. And one week they took the doorknob. What they thought they were going to do with the Duckworth doorknob I don’t know! They sent us out to do a scene, it was in the old factory. I came out of the factory, walked over the road, and I said to the prop man where’s my doorknob? He said them bloody tours again! I said what do you mean? And he said somebody’s took your doorknob. I said the doorknob! Can you imagine, it’d be stuck on somebody’s mantlepiece. They’re having cups of tea and boiled ham sandwiches and say ‘oh look, did I tell you that’s the Duckworth doorknob?’ Oh dear! I went over with Easter Seals, in Ottawa. Me and Bill. It were hard work. We were only there a week, 6, 5 days, something like that. But we raised a lot of money for charity and that’s what it’s all about, isn’t it. [Why do you think people in Canada and other countries watch?] I think it’s memories isn’t it, well, people that’ve gone over. People who’ve gone over to live there. I think it’s a piece of home, don’t you? So that’s how it started, yeah. Time flies, doesn’t it. People say to me, did you think you’d be in it so long. Well, it’s just part of my life now. It’s hard work, it’s a fast show, it’s a 3 half hour programme a week. So you haven’t really time to look around. In my head sometimes it’s 1982, you know. [Do you do any other work, other acting?] No, not acting, because our contract is very binding. You can’t do other things and quite rightly so. Because that’s what makes the characters believable. I mean, they’re a bit unbelievable aren’t they if you see them on other programmes. And I think Granada has always had the right idea about how things should be. You know, the programme and how it should be run. I think it’s always been looked after, people kept their eye on things. ‘Hang on, you can’t do a pantomime and be in this.’ Well, you can’t anyway, it’s too – you couldn’t do a lot of things in this programme. It’s too time-consuming, you know. Well, I’ve got to go. Because my husband’s waiting for me. But I’ve enjoyed talking to you and I’d like to wish your listeners all the best. When you go home, just say Liz Dawn, or say Vera says, look after yourselves. Rita flat on her back, eyes wide open, being wheeled in a hospital bed along a hospital corridor. Visible to her only a white ceiling panel, a light panel, ceiling panel, light panel, repeat and repeat. My gut clenched. I’d been there. Walking alongside a hospital bed along a long white hospital panel. The elderly woman on the bed lying flat on her back, staring up at that same pattern of ceiling panel and light panel. Mewling with fear, trying to turn to see where she was – seeing only long walls of unbroken white. Screaming and struggling to get off the bed, to get away. Me trying to figure out what was wrong, what was causing such profound fear. Aside from the anxiety that illness and hospitals engender, aside from dementia and hospital-administered sedatives. I looked up and kept my eyes up as I walked along. White ceiling panel, light panel, ceiling panel, light panel. Repeat and repeat, as far as you could see. It was terrifying. And I was walking, not ill, with all my wits about me. But that sigh -, that stark hospital corridor ceiling, seemingly never ending – conveys everything about the disorientation and fear felt by anyone in pain and anxious about what’s going to happen in a hospital. For people with Alzheimer’s or any dementia, it must be horrible. Already disoriented maybe and in a new, strange place with no landmarks. Only a white ceiling interspersed with lights. Hospital beds crank up to a sitting position. If the few seconds needed are available, doing so may ease the person in the bed. Seeing the context of the hallway – walls, floor, doorways – not just an unending ceiling going who knows where. Allowing the mind to paint unimaginable horrors on a blank white canvas that is really only ceiling and light panels. But you can’t see the whole when you’re flat on your back. See my Seeing the World the Alzheimer’s Way for more on the long and winding roads of memory loss.